Our FAQ’s are here to help answer any of your questions - in regards to PoolCheck. If you aren't satisfied, or unable to find what you're after, feel free to email us on or contact page. Pool Check is a privately owned organisation with over 30 years experience in the pool and spa industry. We use industry qualified, experienced, and skilled swimming pool and spa builders who know what it takes to make a pool and spa safe, compliant and secure. The VPCCA (Victorian Pool Check & Compliance Agency) is a privately owned agency organisation. As an agency we use industry qualified, experienced, and skilled swimming pool and spa builders who know what it takes to make a pool and spa safe, compliant and secure. 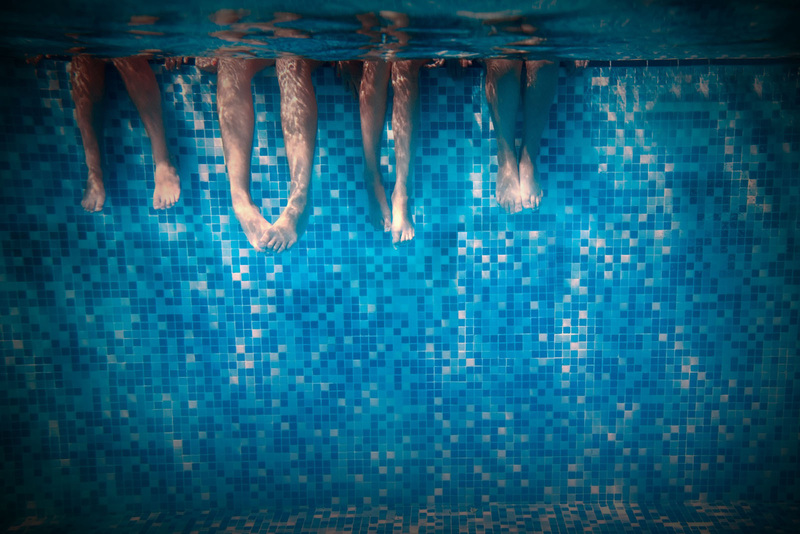 With the changes in legislation, it is estimated that of the 300,000 swimming pools in Victoria, up to 100,000 are no longer safe or compliant. Pool Check will send out an experienced, trained and VPCCA accredited Agent to your premises. Using a technology based analysis and reporting system, the VPCCA Agent will complete the report on-site, which will include geo-stamped and time-stamped photographs, which are embedded into the reporting document. This document is emailed to you as a PDF document at the completion of the Pool Check, and will make suggestions, recommendations and list certain requirements on compliance issues. They can also recommend trusted services that can undertake and adequately complete the work if requested or required. After the works have been completed your pool is now ready to be inspected by an independent surveyor. How long will the site inspection take? The inspection process of a pool will take anywhere from 45 minutes to an 1 hour to complete, this depends on the size of the site. Will I need to be present? No, however it is preferred. When doing the site inspection, we prefer to have the client present so we can discuss the report face to face, and talk thru recommendations and issues regarding the pool. You will receive a detailed report so it isn’t essential – however we recommend being there. Will this certify my pool? No. The Victorian Pool Check & Compliance Agency does not employ or provide the services of an accredited Surveyor to sign off your pool or spa as certified compliant. A Pool Check report does not certify swimming pools, spas or pool surrounds. Instead, a Pool Check report provides the most efficient and most cost effective way to get a pool ready for sign-off by an accredited Surveyor. You could get a Surveyor out in the first instance, but at a cost of $300 up to $800 for a certification inspection, there is no guarantee that your pool or spa would be signed off as complaint, or that the Surveyor will provide you with the resources to get your pool ready for sign-off. Why don't I go straight to a surveyor? An appropriate Surveyor will cost between $350 to $1000, depending on the size of the job. If they inspect your pool and it is not compliant, it is highly likely that you will receive an invoice and brief notes on the site, but be left to sort thru the notes and figure out what to do next. Whilst the cost for a Surveyor still needs to be budgeted for, it is best budgeted at a point when it is most likely that the pool or spa is fully compliant and ready for sign-off, not as an expensive first step. The Victorian Pool Check & Compliance Agency has a trained, experienced and qualified team of Agents who have the appropriate knowledge and tools to undertake each check. The most suitably qualified Agent will be allocated to each pool or spa Pool Check booking, depending on the City Council or Shire that the booking is for. Do you tell me what needs to be fixed? At Poolcheck we document, take photos, and make recommendations on everything that needs to be fixed – we even note down other concerns so you’re 100% aware of any issues regarding your pool. After the inspection, you will receive a copy of this detailed online report. The inspection was compliant – Is it certified? This doesn’t mean the pool is certified. Rather, this means our VPCCA accredited Agent has deemed your pool ready to be certified. It’s now time to get in contact with an independent surveyor to finish the job. We will recommend some surveyors for you to use, however there is no obligation for you to use them. The VPCCA, Pool check, nor any of its agents receive any commission or payments from any referrals to an independent surveyor. The inspection fond non-compliance issues - What happens now? After the initial inspection you will receive an online report that details all the areas that need to be fixed before an independent Surveyor should be booked. This report is NOT a report which compels you to undertake the works deemed to be required for compliance, rather the report provided is there to help you determine what needs to be done. We can help in pulling together the appropriate trades and services that can undertake any work which should be completed to enable compliance. Once done, we can then assist in arranging the surveyor. You can arrange your own trades and services to undertake any works required. We deem these to be referred to as third party repairs. We can then follow up with a further Pool Check inspection for just $99, to help ensure that it is now ready to be inspected by a Surveyor. Why do you reassess third party repairs? All trades and services recommended and arranged by the VPCCA directly have been vetted for their understanding of the works needed, and for their ability to complete the works at a fair price. DOES THE VPCCA OR POOL CHECK GUARANTEE CERTIFICATION FROM A SURVEYOR? Simply put, no. It is impossible for any person or organisation to 'guarantee' what an independent or third party will do. Like any law or regulation, it can sometimes be interpreted in different ways. 5 different Surveyors can look at exactly the same pool and see 5 different results for compliance. We will do all we can to assist in the process, but we cannot guarantee that a Pool Check inspection, and any subsequent works completed as a result of the Pool Check report, even if arranged by us will automatically ensure that the pool is compliant and will be signed off by a Surveyor. The Victorian Pool Check & Compliance Agency and its Pool Check Agents can not anticipate, nor be held responsible for any subsequent report or decision made by an independent Surveyor. It is possible that a Surveyor may not agree with a Pool Check report, and may make recommendations other than those included or detailed by Pool Check. This is usually a result of interpretation of the relevant Code, and any Council, State or Regulatory requirements which may be deemed as being inconsistent with our Agents' interpretation.